Western North Carolina community to Florida-based Publix: If you want to expand into our community, you must expand your commitment to human rights! Word has come down off the mountain, and the first week of the North Carolina Publix Truth Tour — spent among the turning leaves and brisk fall breezes of the indescribably beautiful mountain community of Asheville (while today the heat index here in Immokalee will top a record 100 degrees…) — was a smashing success. 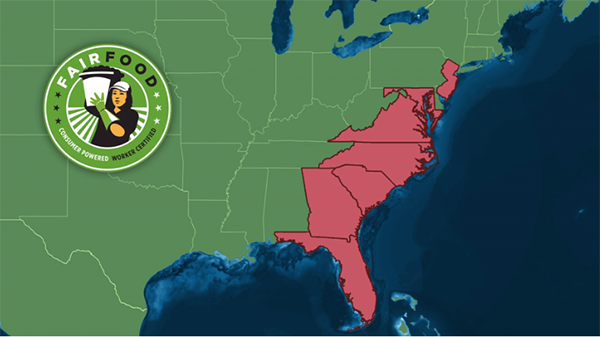 We have just received our first dispatch from the tour crew making their way across the Tarheel state, where more and more freshly-minted Publix stores are coming online every month as the Florida-based grocer expands into the Southeast. 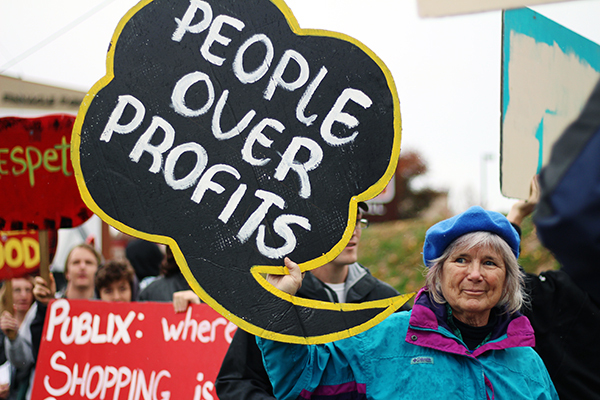 Last week, the North Carolina Publix Truth Tour had an incredible first stop in Asheville, where community members warmly welcomed the tour crew into their classrooms, congregations and communities — and then joined us at Publix for the first protest of the tour! Our days in this friendly mountain town were packed with efforts to connect with allies and then take action together. Students at University of North Carolina Asheville and Warren Wilson College were moved by the CIW’s message, and then brought together their own plans to join the Sunday picket. CIW was also welcomed to services at Beth Israel Congregation, who connected with the Fair Food delegation through T’ruah, the Rabbinic Call for Human Rights. Asheville FM Community Radio helped spread the word further about CIW’s visit to town and the upcoming protest, interviewing the CIW’s Santiago Perez about the incredible changes the Fair Food Program has brought to the agricultural industry as well as the campaign to bring Publix on board, especially as they seek to expand their stores in North Carolina. 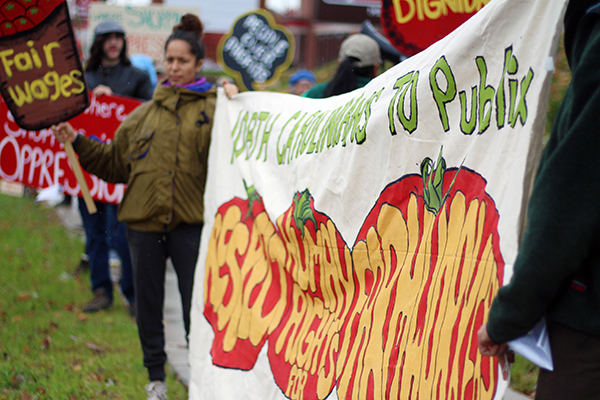 We also brought the story of the Fair Food Program and Publix’s refusal to join to fellow workers in the Western North Carolina area, many of whom follow the tomato harvest north from Florida during the summer. 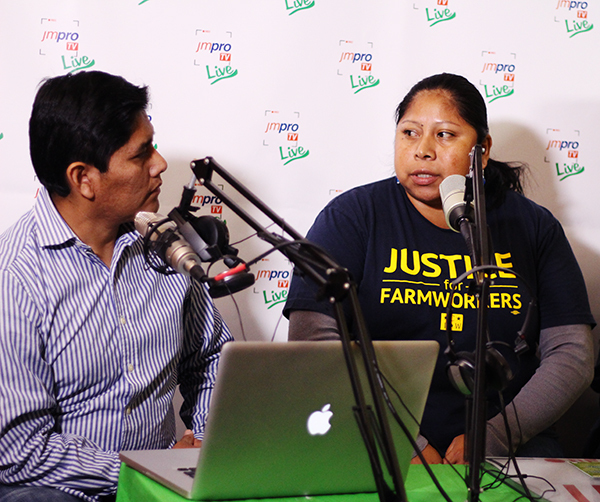 CIW’s Lupe Gonzalo and Santiago Perez were interviewed on the airwaves of JM Pro, a radio and video production viewed by hundreds in the Western North Carolina worker community. 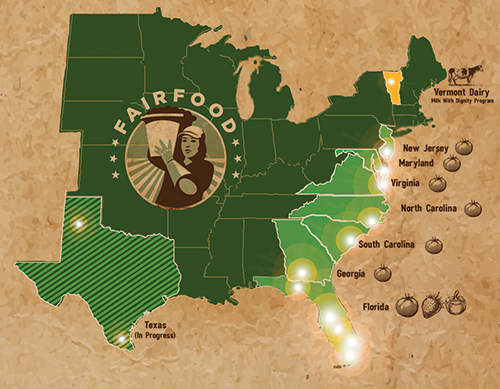 They shared the exciting news not only of the burgeoning Publix campaign in Asheville and across the state, but also of the new expansion of the Fair Food Program into North Carolina, which began this past summer as CIW traveled to farms up the east coast, talking to thousands more workers about their new rights. On Thursday evening, workers, students and other community members were brought together for a screening of the award-winning documentary “Food Chains” at the local Carolina Cinema. 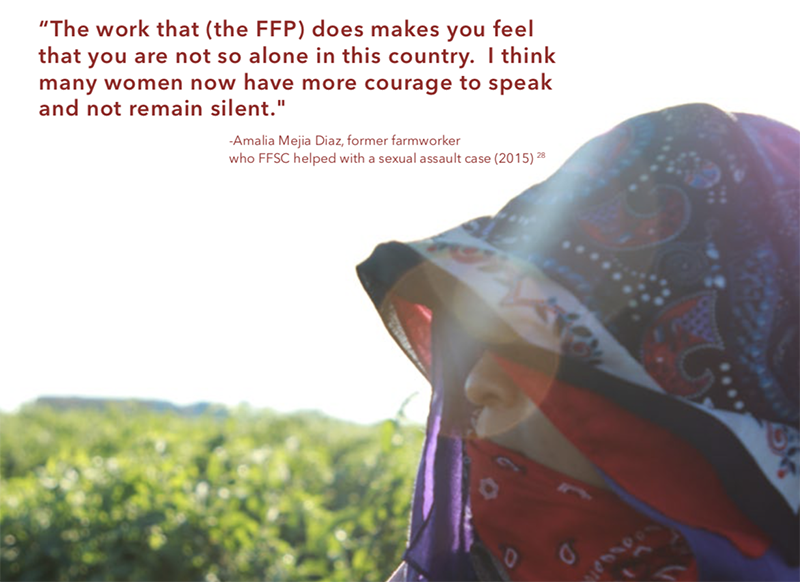 The screening and talkback was well-attended by locals, and even a group who drove an hour from the farmworker community in neighboring Sylva, with the Vecinos Farmworker Health Program, to hear from the CIW. 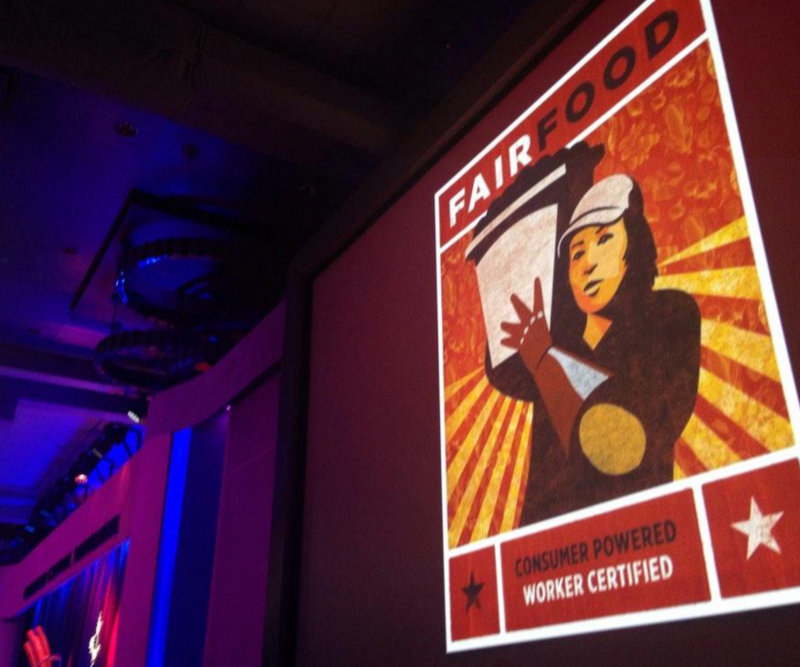 They were excited not only to join CIW’s Campaign for Fair Food going forward, but also to share more information about the Fair Food Program’s expansion with the farmworkers in the state of North Carolina. The Asheville tour stop culminated in a spirited picket at Publix that could not be dampened even by the afternoon rain! Inspired by the “Food Chains” screening and the many presentations of the previous days, dozens of community members, students, professors, local business owners turned out — and were even joined by several members of Nashville Fair Food, who couldn’t be kept away when they heard CIW would be visiting their neighbor state. Rain-soaked but exuberant, North Carolinians and the CIW drove home the same message NC has been sending to Publix since the grocer’s first forays into the state: as Publix seeks to expand their consumer base in North Carolina communities, consumers are demanding that the supermarket also expand their commitment to human rights. Of course, this isn’t the first time that Ashevillians have made this resolute call to Publix. 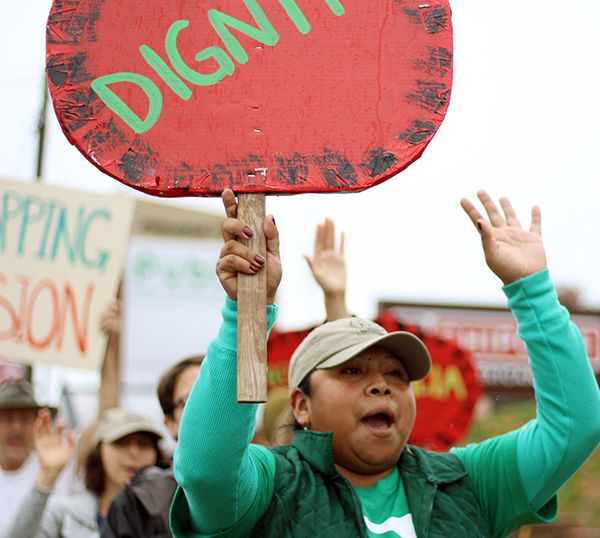 In fact, even before the Asheville Publix store opened this last spring, scores of North Carolinians protested alongside farmworkers at the construction site during CIW’s 2014 Now is the Time Tour, then picketed at the opening in May, and have made their message known in the local press time and time again. This time around, while the picket started up, a delegation led by CIW’s Lupe Gonzalo sought to enter the store (and of course, were denied entry) to deliver the letter signed by community members, inviting Publix once again to become part of the proven solution to farmworker poverty and powerlessness. 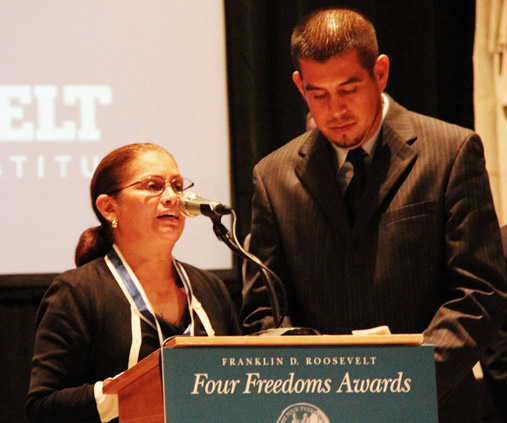 After Lupe urged the manager to pass the community’s letter onto his higher-ups, a member of Beth Israel spoke proudly of the rich history of Jewish support in the Campaign for Fair Food. She shared that as a longtime Asheville resident and person of faith, Publix’s refusal to join the Fair Food Program — already supported by Publix’s Asheville competitor up the road, Walmart — is unconscionable, and she looks forward to the day soon where she and her congregation can celebrate Publix coming to the table with the CIW. A student from Warren Wilson closed the delegation, sharing her dismay upon learning about Publix’s position and resolve to continue organizing with her community to continue to amplify this call. 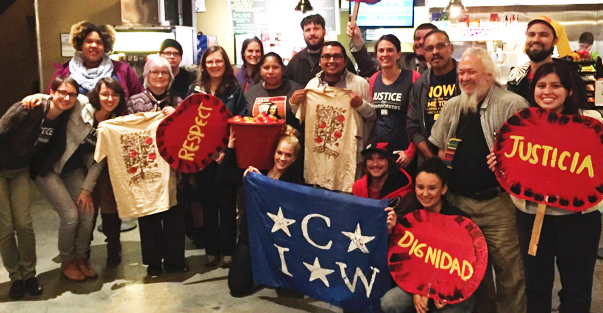 The CIW wrapped up the picket by sharing with the participants the call for a National Day of Action on Nov. 21. As Lupe informed the crowd, this is the weekend before Thanksgiving, and Publix will surely be promoting its family-friendly image and charity efforts, and yet will continue to refuse to respect the farmworkers who make the food on their shelves — and profits in their pockets — possible. The picket ended with a lively group chant of “we’ll be back!” — just one more indication that Publix can expect much more from the Asheville community very soon. Quite the whirlwind! From here, the intrepid Immokalee crew is heading eastward to the Triangle Area, and from there to Charlotte, for yet more Publix protests, Food Chains screenings, presentations, and ever-larger gatherings with NC residents whose dedication to farmworkers’ human rights — and outrage at Publix’s stubborn refusal to partner with workers in protecting those rights — grows deeper every day. 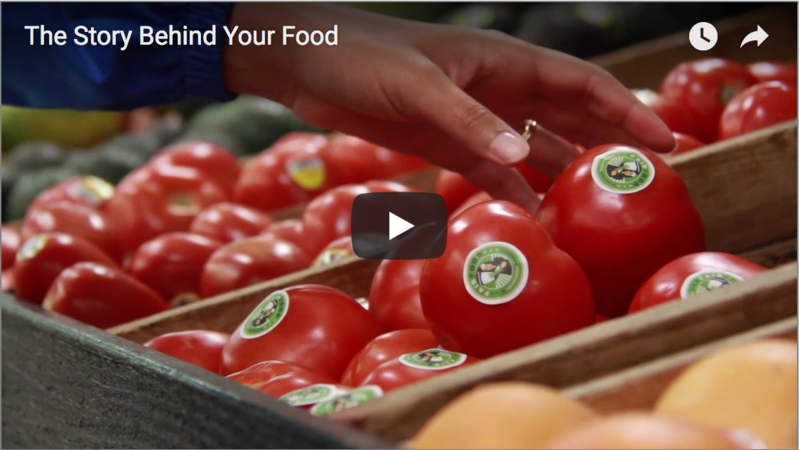 Stay tuned for the next installment from the North Carolina Publix Truth Tour next week!